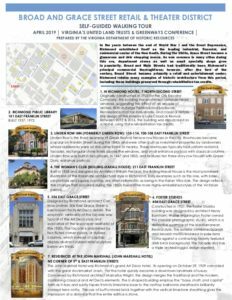 Click on images to preview and download. 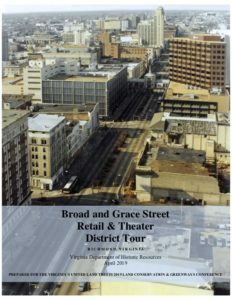 Richmond Hostel (.4 of a mile from the conference), 7 N 2nd St, Richmond, VA 23219. 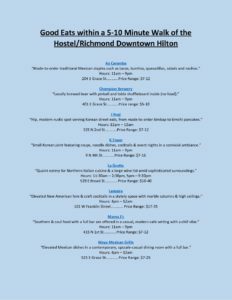 Make the booking through the hostel directly by calling at 804-729-5409, emailing richmond@hiusa.org, or by using the website hiusa.org/richmond. Dorm beds and private rooms available, and for larger groups, dorm rooms can be reserved as private rooms. All guests enjoy free high-speed wifi, free laundry, and free breakfast every morning as well as a variety of fun activities every night! 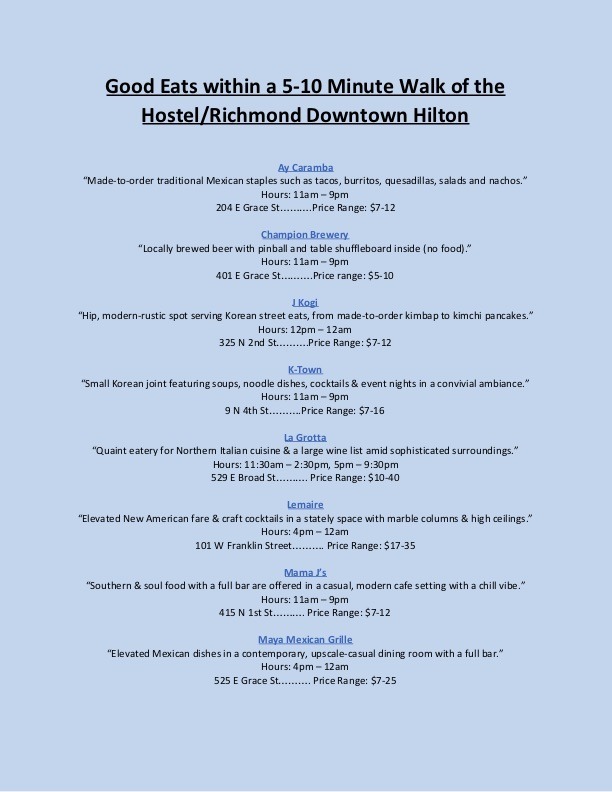 If there are any questions or groups larger than 8 wanting to book together, feel free to contact the general manager, Brooke Matherly, directly at gm.richmond@hiusa.org. The Downtown Hilton is on the Pulse Bus line. The Hilton is one mile from the Main Street Train Station. There are a number of public parking lots close to the hotel. Cost about $20 per day.